Rothley Park Golf Club in Leicestershire is where you can find CPI and PGA professional Katie Tebbet sharing her passion for the game. Having played for over 30 years she looks to match her teaching with the golfer’s aspirations and pass on her love for the game. 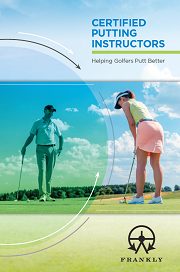 Last winter, Tebbet embarked on the online Certified Putting Instructor (CPI) Course as she sees putting lessons as an important step forward in helping golfers improve their game. The CPI Course experience was one which Tebbet thoroughly enjoyed and has helped her teaching. 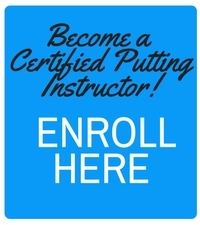 “The CPI Course covers so many different angles and gives you the tools to help deliver a well rounded putting lesson. It helped me put my knowledge together better. It covered so many bases and so many different aspects of putting from fitting to practice drills. It has given me confidence and now I teach putting in a better way than I did before becoming a CPI, getting things across to my student much better. I look forward to giving putting lessons. Tebbet knows first hand of the importance of putting, first introduced to golf by her dad at the age of 9 in South Africa, then upon moving back to the UK a year later, working her way through the amateur ranks to eventually represent England. She turned professional at the age of 28, competing in Europe and America for 5 years and has much experience to share with those who seek her expert tuition. Rothley Park has a thriving women’s section with over 100 lady members, from a 94 year old to an 13 year old and Tebbet, who developed her game at a family friendly club, sees that the golf club can meet their needs and goals. For Tebbet, helping her members improve and enjoy the game and sharing her passion is what it is all about.